Contributor Julie Joyce breaks down the nuts and bolts of four unique link-building tools and shares how each can help analyze web pages and assist in your linking efforts. If you are actively building links, you probably already know about many of the main link-building tools. If your time and financial budgets allow, check out some of these multipurpose search engine optimization (SEO) tools to aid you in your link-building efforts. I’ll cover the tool in general and then look at the unique “nuts and bolt” features of each tool so you get the most of out it when executing link-building and content marketing campaigns. These first two tools are robust options that perform a variety of functions and are paid tools. Nightwatch.io. This fairly new tool has the ability to monitor 20 domains and 100 keywords. Like most tools, Nightwatch lets you track your rankings, monitor your backlinks and do tons more, but if you’re on a budget or looking for something new, it’s a great one to try. It’s also a very pretty tool with great visuals. You can also hook it up to Google Analytics and Search Console. In terms of link building, while I wouldn’t advise anyone to rely solely on rankings or any other one metric, it’s very good to know if you are moving up, staying the same or falling in the search engine result pages (SERPs) so you can figure out what’s going on. There’s a great section of the Nightwatch tool where you can see a graph of your average SERP position alongside your competitors’. You can quickly run ranking reports based on the keywords you’re tracking and identify which keywords need work. If you’re building links to certain pages and using specific anchors, you can use this information to try and see where you need to put your focus. Just don’t get too caught up in the typical day-to-day ranking fluctuations, as it can drive you crazy. Another great feature I use frequently is to quickly visualize how rankings for a client compare to rankings for his/her competitors. This is useful information to have when starting a new link-building campaign. If you notice your page is moving down while the competitors are moving up, that’s a good sign that something needs to change. You can also pin items on the Dashboard if you want to monitor multiple sites or just different information for one site, making it easy to put together a dashboard that gives you what you need immediately after logging in. And if you’re one of those people who lives to see a daily ranking report, you can see that as well. Another thing I like is the Notifications section which tracks keywords and gives you new keyword suggestions. I love getting keyword suggestions when I’m running out of ideas and steam trying to find new linking partners or new content ideas. LittleWarden.com. This tool checks for mail exchanger (MX) records and redirects. It also monitors page title changes, which I find very useful. I’ve seen some great improvement in rankings and conversions after altering page titles. This tool monitors anything that has the power to negatively impact your rankings. A pet peeve of mine is when there is a technical issue on a site beyond my control, and I discover no one on their SEO team is monitoring it. You certainly don’t want to be working hard to attract links to a page that becomes inaccessible to Google. The monitoring feature on this tool will definitely help here. You definitely don’t want to have a domain or secure sockets layer (SSL) certificate expire. Little Warden keeps an eye on expiration dates and will send a monthly email reminder when ending dates draw near. All of the features with this tool can be configured to your convenience which is nice. These next two tools are free online tools that are more specific to certain tasks. Siteliner.com. This tool helps find both broken links and duplicate content. Broken links make for a poor user experience. Duplicate content is problematic enough that Google has an entire page about how to handle it, so it’s a good idea to use canonicalization if you have multiple pages with very similar or duplicate content. The Skipped Pages section lists reasons why the page was skipped, potentially leading you to some troublesome issues, such as a page being blocked from Bing and Google bots or a 404 error. 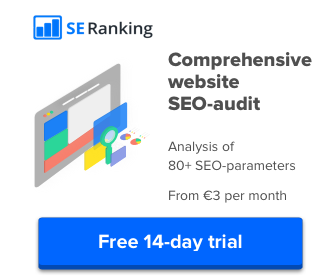 That’s very good information to have for your own site, but if you’re scanning a target site for link building, you definitely want to make sure you won’t be putting a link on a page that is blocked and won’t get indexed. Finding broken links on web pages is easy with this tool. Search on a keyword and look for solid partner sites in what’s returned. Offer great content with working links to replace what’s broken on your target sites. FirstIndexed.com. This is a free tool that allows you to discover when a uniform resource location (URL) was first indexed. It’s a search that appends some variables to make it easier for you, and I like easy! If you’re trying to place links on a page, and you have no idea of how old the page is, this tool will give you an idea of how current the information is. If you land on a great page, and it was first indexed 10 years ago, you’d want to double-check to make sure that all the content is still relevant and accurate. When it comes to topics that update frequently, older pages aren’t always a great source or a good link partner. Older pages also have a higher probability of broken links, so you can also use this tool to check for broken links. Not only is that good for link building, it’s a good way to get a webmaster’s attention, by nicely pointing out that something needs to be fixed or updated. Link building can’t always be done with just the naked eye and still needs the support of smart, well-optimized pages to impact rankings. You can build great links to a site with smart content, but that doesn’t guarantee better rankings or increased traffic. There are many other factors at play that need to be taken into consideration, and the tools I have listed can help and be a great addition to your link tool arsenal.